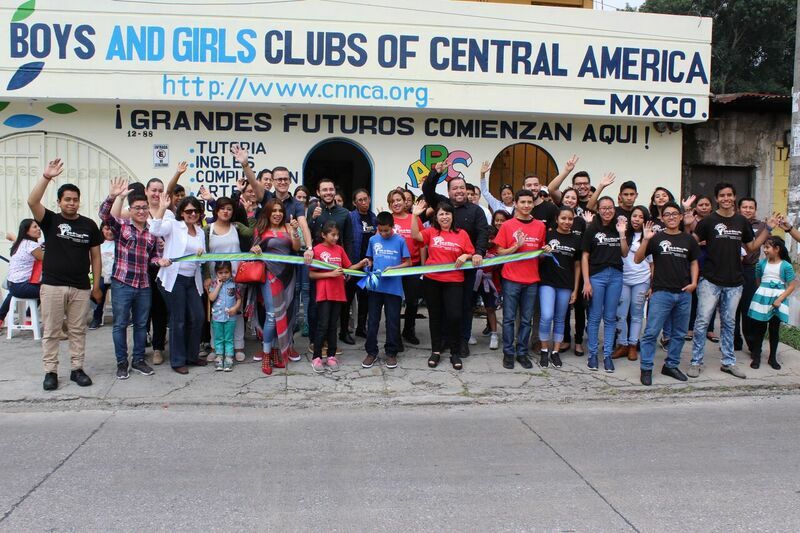 As part of a new partnership with Tupperware Brands, Clubs de Niños y Niñas de Centro America (CNNCA) opened for its newest club in Zona 3 de Mixco, near Guatemala City, on May 26th. Appropriate spaces are limited and expensive in Guatemala, especially in the city and its surrounding areas. Most buildings that could properly house a club, similar to those in the US, could go for as much as five thousand dollars per month. Because of funding provided by Tupperware Brands, CNNCA was able to make this new club a reality. The club is based in a house, with four areas dedicated to programming. Demand for this valuable community resource is clear: nearly eighty children joined the club on the first day. As membership continues to grow, there is the potential to increase to eight program rooms. Currently, the club offers after school and Saturday programming. On weekdays, the focus is on younger kids, and teen programming is emphasized on Saturdays. Based on demand, the club may offer morning sessions for youth who attend school in the afternoon. CNNCA’s programming is centered around the same three key pillars that Boys & Girls Clubs of America focuses on: Academics & Careers, Character & Leadership, and Healthy Lifestyles. During the grand opening celebration, parents and other attendees toured the facility and had an opportunity to experience some of the club's programming, including its STEM (Science, Technology, Engineering and Mathematics) program, which involves working with iPads, robotics kits, and more. They also heard about the club's English language programs, which are focused on conversation and interactive activities. In addition, they participated in the very popular cooking program, which allows club members to learn easy-to-make recipes and prepare their own snacks. CNNCA is fully committed to the continued growth of its clubs. In conjunction with its Tupperware Brands partnership, and perhaps other partners, their goal is to open at least five more clubs in the next year. To learn more about Tupperware's global social responsibility programs, visit the Tupperware Brands website.